A lot of young people these days are so cynical about love, saying that love no longer exists and if it does exist, it’s just a temporary thing. Many would bitterly tell couples that ‘forever’ no longer exists in love – soon or later, they would just break up and find someone new. While many agree with that notion, especially after experiencing their own heartbreaks, there are still those who are able to prove that true love still exists! Indeed, there are still a lot of old couples who managed to stand through the test of time and still feel so much in love with each other, even at their old age. 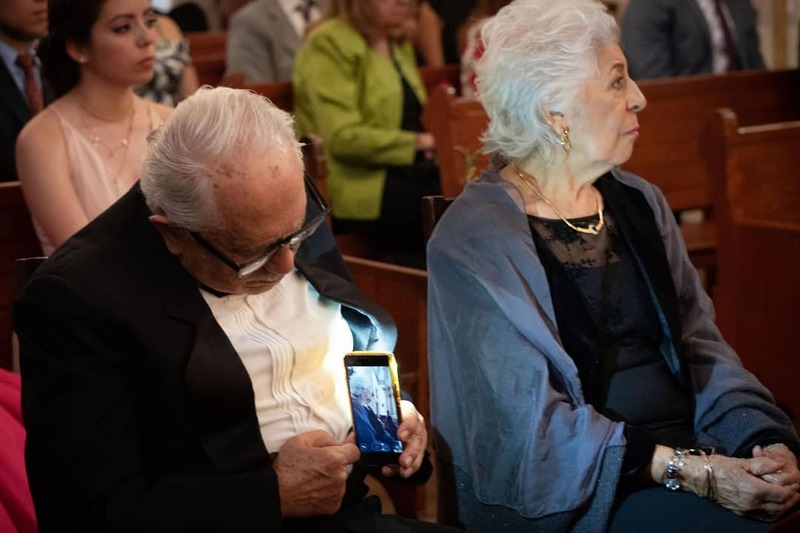 Photographer Edmundo Cambron was covering a wedding in Mexico when he noticed an old man lean forward and turning his cellphone to the side. Curious, Cambron focused on the old man and realized that he was taking a stolen photo of his wife! It was so cute! The man’s wife had no idea what he was doing as she was serious about watching the wedding, but this old man seemed so serious about taking a photo of his regal wife, sitting so beautifully by his side. Cambron quickly snapped some photos and shared one on his social media account – and people loved it! “Yesterday I shared this photo, which had a very good response and I want to tell you that thanks to these two people, many couples remembered what love is, now they become a symbol of love,” Cambron wrote. Indeed, a lot of people were impressed by the photo. The elderly couple would later be identified as 80-year-old Emilio Sanchez and his wife, Teresa Regla. They have been together for 55 years – and bride in that wedding is their granddaughter! 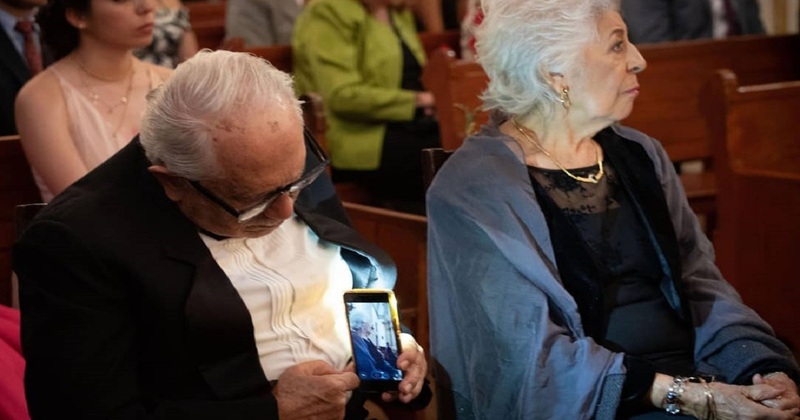 “I am 80 years old, I have Facebook, I have an intelligent cell phone and a wife that I love and has been with me for the last 55 years of my life,” Sanchez later wrote after the photo went viral.